Live Dealer Blackjack form part of an exciting new online casino feature, which brings the best of land-based casino table games and online tables together. As some of you would know, Blackjack is a very popular online casino game, which provides huge winnings, various features, and a professional gaming platform, which has become famous for strategies. All these features and much more have been included with online live dealer Blackjack. However, players who are familiar with the land-based variant are sure to be impressed with just how well the online live dealer game has been created. There are various options to enjoy, and all participants have the ability to wager values they prefer, have all the options of a land-based casino, play at anytime from anywhere, and have the opportunity to access these games with strategies and huge table limits. Online casino game developers have finally found a way to offer these types of games and give table game enthusiast the opportunity to enjoy fair and fun games online. Virtual Blackjack at online casinos used to be very popular, but since the fairness of these games have been questions, many people preferred traveling to land-based casinos where they can see the dealer and everything they do. Well, now the same options are available with online casinos, making table games a huge hit once again. Anyone can take advantage of online live dealer Blackjack as long as you have a casino account where these games are offered, and you have an account balance. There are various Blackjack variants to enjoy, which includes Blackjack Pro and common draw variations. Both these games provide professional opportunities, and players are presented with all the game options featured in land-based casinos. However, there are a few amazing benefits to joining these games, including higher limits, and more betting options. How Online Live Dealer Blackjack Works? Live dealer Blackjack is played the exact same way as you would in a land-based casino. Once you have a casino account and available funds in your account, you can choose live dealer Blackjack in the live casino section. This will present a window on your screen where you will see the live dealer and the table. These games are delivered from studios that are owned by the developers offering these games. Each table has a camera pointing at it, which shares the video live to your screen, which is what you see when joining a table. The dealer provides the same features as a land-based casino, which includes calling when bets can be placed, when betting time is over, the results, and much more. Since these games are online, your bets and winnings are dealt with in a virtual way, which means your winnings are added to your account instantly. This also makes the game a lot faster and allows players to bet on the next round faster as the dealer is not required to pay players or work out the rewards. This is all done with a computer, making it 100% accurate. The betting panel below the window that shows the live dealer, you will find various values to choose from, which starts with amounts a lot lower than most land-based casinos and also exceeds limits offered at land-based casinos. Once betting is open, you are presented with various chip values that can be selected and placed on the table. Multiple chips can be used for those of you who would like to wager a particular value. Once betting is closed, the dealer will provide all players with their cards and offer the options, which includes stand, hit, split, and double down. Most Blackjack tables only allow 5 players at a time and the selection time is limited, which ensures you never need to wait long for other players. Most developers have also made it possible to choose your next move before hand, which speeds up the game even more as the dealer will be able to start your hand the moment it is your turn. Once all the players have selected their options, the dealer will turn over their cards and play accordingly. The rules are stated on the table as found with land-based casinos, which could state that the dealer needs to hit or stand on 17. Once their hand has been played, the computer will reward those who have won and open the next betting round. The most common variant of Blackjack is known as Blackjack Pro with most developers and other simply call it Blackjack. There are also other gaming options such as Common Draw Blackjack, which is a popular NetEnt gaming opportunity. Players will also find there are a few Blackjack games that include side bet options such as Perfect Pair, which is an optional side bet for additional rewards. The online market provides only standard game rules, meaning games such as Spanish 21 and other variants can only be played with virtual Blackjack games. The regular live dealer Blackjack game include standard game rules, meaning anything over 21 is considered a bust, and the highest hand wins. As for finer rules such as when players can split and double down, you will be able to see these rules once you’ve entered the game. These are usually offered within the pay table, and some will also include the rules on the actual table. Some developers state that the dealer can stand on soft 17 whereas other require the dealer to hit on soft 17. The common draw variant includes all the regular rules, but instead of giving each player at the table their own 2 cards, the dealer will offer a single hand game, which allows all the players to vote for the best possible move. This means when the 2 player cards are dealt, you can vote what needs to happen next and the most common vote will take place. 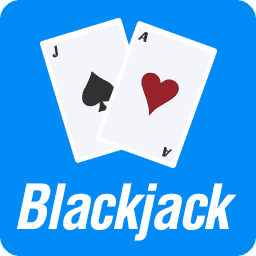 All the options of regular Blackjack are available in this game and players can still access any bet values. This means you can play among high rollers with minimum bet while they are using much higher stakes. The wager amounts of each player have no effect on the results as the game just allows everyone to choose the next move together and access the best rewards. Other variants of Blackjack are sure to become available in a few years with live dealer game options as they become more popular. However, for the time being, developers have selected to offer regular Blackjack games as they are the most played and enjoyed at casinos from around the world. Virtual casino Blackjack used to be the only online gaming option available at online casinos, which presents the table, various bet options, and multiple variants. These games offer winnings with a random number generator, which ensures the winnings are fair, random, and provide everyone a winning opportunity. These systems are also responsible for keeping the payout rate at the correct level. However, as with slots, these payout rates vary, meaning you could be playing the game and access excellent hands or you could be playing when weak hands and loose multiple times, which is why many players have assumed these games are fixed and offer unfair results. However, it’s simply the payout rate adjusting the game to provide the house edge and provide fair results at the same time. Live dealer Blackjack games deliver a much better gaming experience in all regards, which includes a betting gaming platform, better results, more options, and does not include a random number generator as an actual dealer provides the game. This makes the game just as fair as you would find at a land-based casino. Blackjack with live dealers is also played with multiple decks of 52 cards, which are shuffled and placed in a shoot next to the dealer on the table. As mentioned, live dealer Blackjack includes the best of virtual games and land-based casino games as betting takes place virtually, meaning you can place smaller bets and it’s a lot easier as all the values are presented. The payouts are also a lot faster as found with virtual gaming while it includes the fairness and gaming interface of a land-based casino. This gives you the opportunity to play online at any time while having access to the best results available. Blackjack is a table game that has become famous for strategies as you win even money with all winnings other than Blackjack hands. This makes it easy to apply a strategy and achieve the best possible winnings in each round. There are many betting methods to choose from, which offers great rewards while covering your losses as well. The most commonly used strategies are progressive betting options such as Martingale. There are also many charts you can use, which doesn’t provide a strategy as such, but rather tells you what the best possible move is for the hand, which depends on what you’ve got and what the dealer’s face up card is. The martingale system is by far the most efficient and easy to use. However, this will require a fairly big account balance as losing hands need to be doubled up each time. The reasoning behind this is to cover your losing hands and produce profits. The system can be quite difficult to get used to, especially when you reach higher bet values. The only way the system can fail is by reaching the maximum amount of your account balance or reaching the table limit before a winning hand, which is why the system should be started off with minimum bet. This will ensure you are able to increase the bet multiple times without reaching huge values. Even with a minimum bet such as £1.00, you need to have an account balance of at least £150 to use this system. This will allow you to double up 8 times, which will cover 8 consecutive losing hands. Those of you who play Blackjack would know this is relatively uncommon, especially if you play the hands right for the best results. For those of you who are new to Blackjack and interested in a system, it’s best to start with an even bigger account balance, which allows you to build confidence in the system without hitting limits. It’s very easy to use the Martingale system as you just need to double up with a losing hand and once you win, you would restart as the lowest value. For example, if you lose the first 3 hands with a starting bet of £1, your 4th bet would be £8 (£1, £2, £4, £8). In total, you would have wagered a total of £15, but if you win the 4th hand, you will receive £16 back. This means all the cash you’ve lost in the first 3 hands are returned, and an additional £1 is your profit. Once you gain trust in the system, you can increase the bet by £1 in certain positions. For example, if you lose the first hand, only double up to £2, but if you lose again, instead of wagering £4, you will bet £5. Keep in mind that this will increase the bet to £10 if that bet loses, and then to £20 and so on. However, once you win, you would make £2 profit, instead of just £1. Professionals usually include a few increases in this system to raise the winnings as the risk goes higher. For example, increasing the bet every second double up boosts your winnings the higher the value progresses. Charts are widely available and provide columns and rows that include your total hand value and the value of the dealer’s face up card. All you need to do is find the block where those 2 values meet and play the game accordingly. These blocks will either tell you to stand, double up, hit, or split. However, also keep in mind that it’s impossible for these charts to be correct with each hand as you never know what the next card is, but they do provide you with the best possible move and are sure to give you the most winnings while you learn.